ALL ANIMALS will avoid coming to retrieve their babies if humans are around. Please watch for signs of the mother without being too close or animals seeing you. Hatchlings are newly hatched, completely featherless babies that may not have their eyes open yet. Nestlings will have some feathers, but still have a lot of bare skin and may have their eyes open. Both of these life stages depend completely on the mother and should not be out of the nest. If you find a hatchling or nestling on the ground and are able to reach the nest, the best thing to do is to gently put the bird back in its nest. The mother will not mind that you touched it. If you do not know the location of the nest or if you cannot reach it to put the baby back, or if the baby is visibly injured in any way, then the baby bird needs your help. Please contact WildCare Inc. immediately. 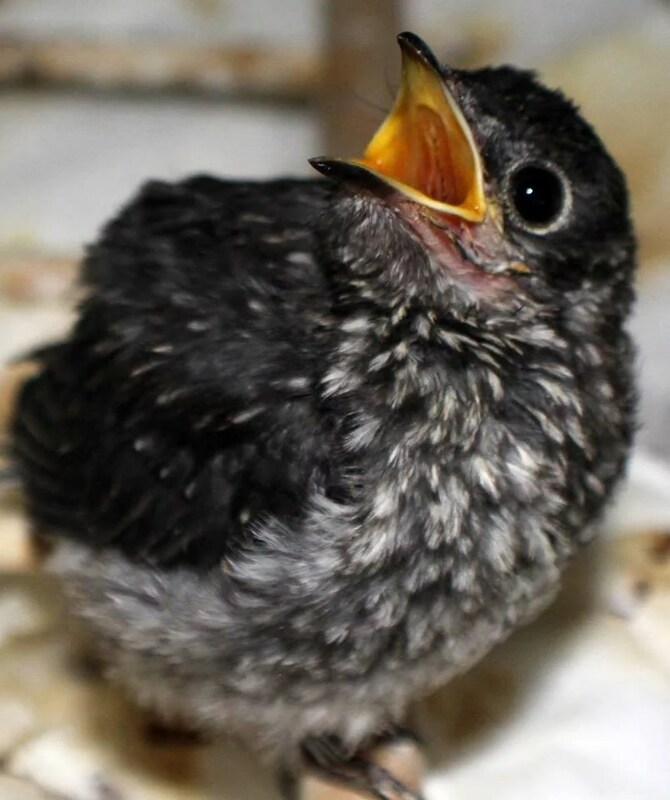 Fledgling birds are fully feathered, but not quite adults. Their feathers may look a little disheveled or they may still have visible down. These birds frequently leave the nest before they are fully able to fly. These birds may spend several weeks on the ground learning to fly! Fledgling birds are very vulnerable to attacks by cats and dogs – please keep your pets inside and away from the bird. If you see a fully feathered bird on the ground, please watch for signs of the mother. Mother birds will continue to feed their fledging babies even when they are on the ground. Keep an eye out for the mother – if it has been several hours and the mother has not come to feed the fledgling bird, it may need your help. If you see a visible injury, the bird needs your help. Please contact WildCare Inc. immediately. 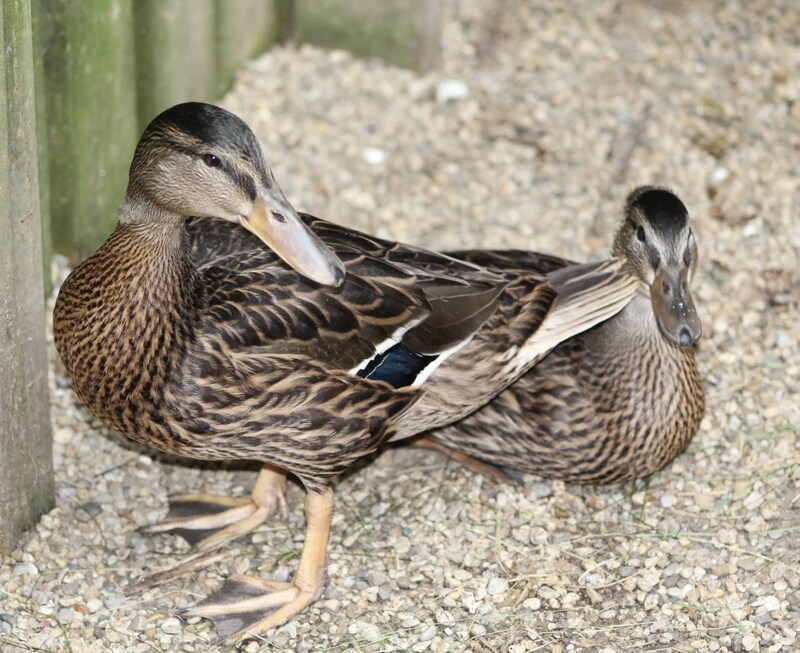 Baby ducks and other waterbirds are precocial, meaning they are able to walk and feed themselves shortly after hatching. Baby ducks follow their mothers around and stay with their mothers and siblings for some time. If you find a baby waterbird and do not see a mother around within an hour or so, it probably needs rescuing. To help increase the chance of success of rehabilitation, place the animal in a box with a towel and a heating pad on low on half of the box. Do not offer any food or water. Please contact WildCare Inc. immediately. Raptors, or birds of prey, include hawks, owls, eagles, vultures, ospreys, falcons, and harriers. These birds have talons (long, sharp claws) and beaks that are made for tearing and cutting flesh. Some have beaks strong enough to cut a finger off and talons sharp enough to deeply cut and/or tear out chunks of flesh. This can make rescuing a raptor very difficult. 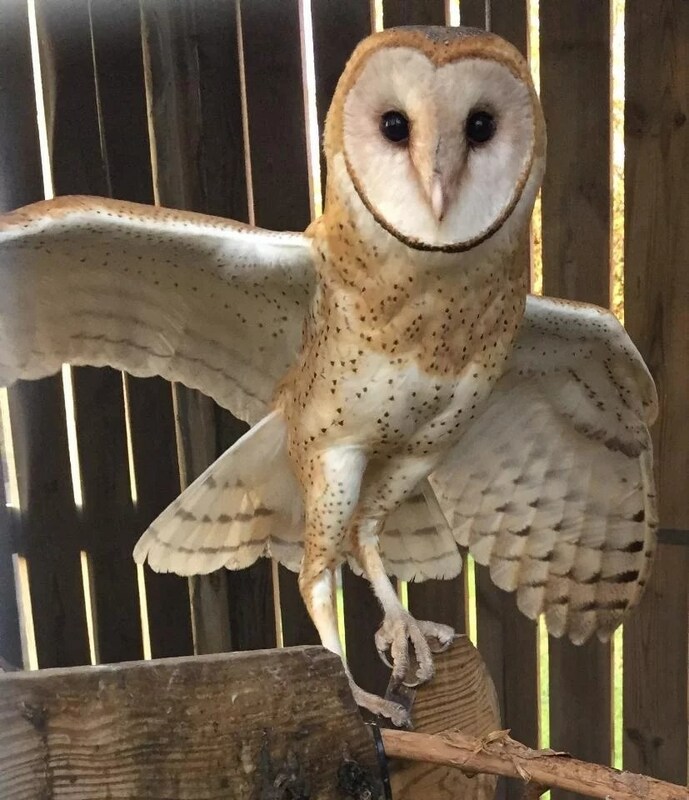 If the situation requires immediate handling of the animal to remove it from danger, you should take precautions to prevent injury to yourself or to the raptor. First, use a large, thick towel or blanket to cover the raptor. You should not attempt to handle without wearing heavy, leather, utility gloves or gauntlets. With the raptor covered, use both gloved hands to wrap around its body, folding the wings in as well. Transport the animal in a plastic cat or dog carrier with the raptor on its feet if it is able to stand. Handling of the raptor should be kept to an absolute minimum to reduce stress on the animal and to prevent injury to it and yourself. Keep the raptor in a warm, dark, and quiet place with no food or water until it can be transferred or cared for. Please contact WildCare Inc. as quickly as possible if you find an injured or orphaned raptor.